Published in: Decaisne, J. & Thuret, G. (1845). 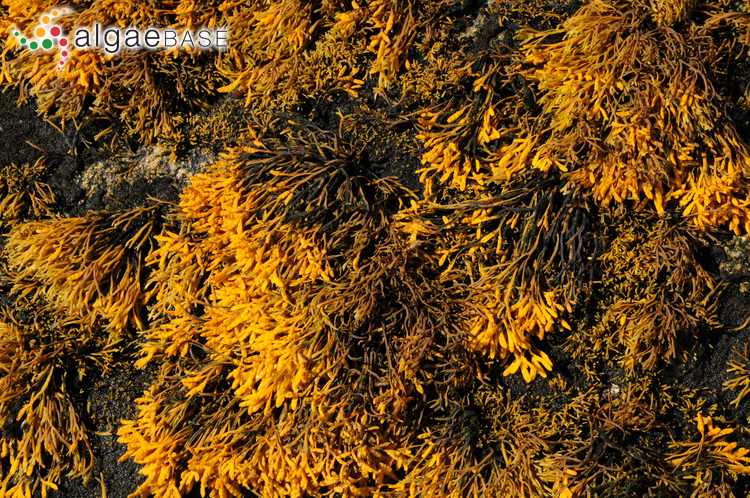 Recherches sur les anthéridies et les spores de quelques Fucus. Annales des Sciences Naturelles, Botanique, Troisième série 3: 5-15, pls 1, 2: 40 figs. This is the type species (holotype) of the genus Pelvetia. 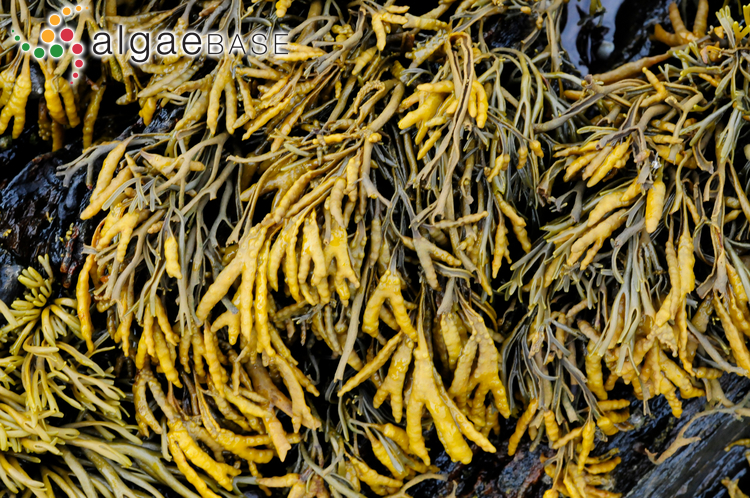 English: Cow Tang (Dickinson 1963), Channelled Wrack (Anon. 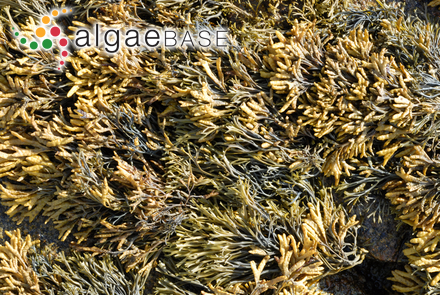 2000), Channel Wrack (Bunker et al. 2010). Gaeilge: Dubhlamán, Múirín na Muc, Mac Con Iomaire (Brennan 1950), Caisíneach (Anonymous 1978), Dúlamán (Anon. 2000). Accesses: This record has been accessed by users 20321 times since it was created. Ardré, F. (1969). 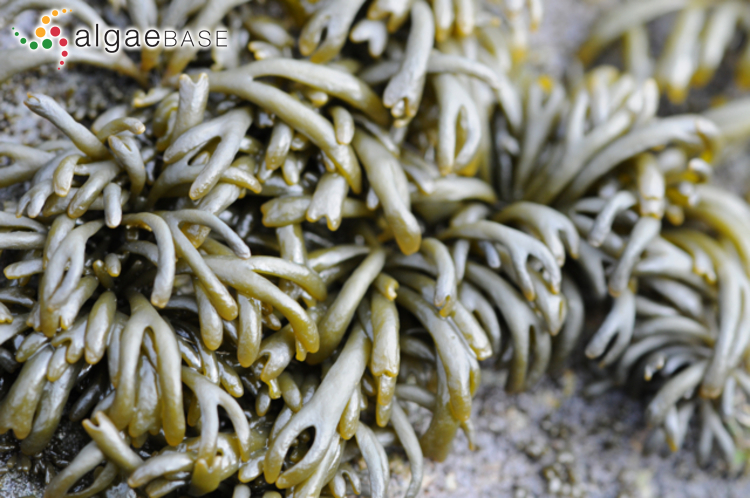 Remarques sur le Pelvetia canaliculata (L.) Dec. et Thur.. 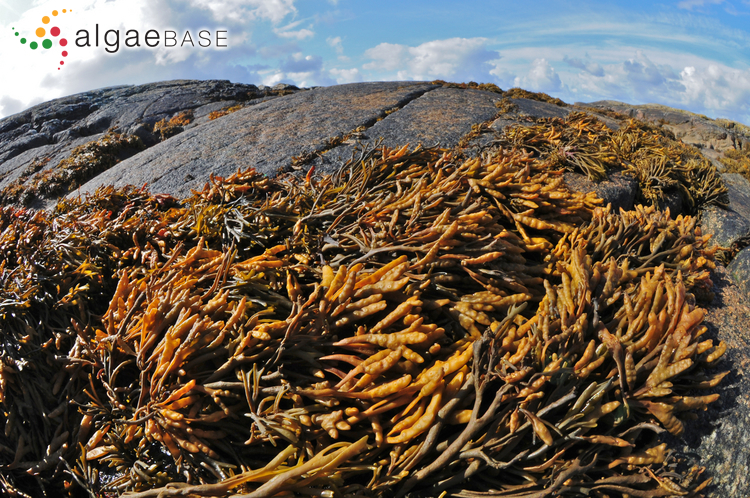 Proceedings of the International Seaweed Symposium 6: 31-40. Fischer-Piette, E. (1957). 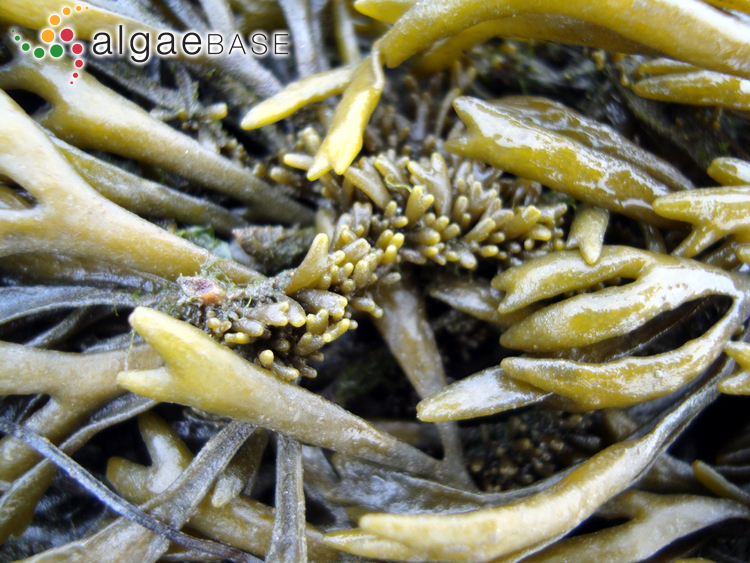 Pelvetia canaliculata examinée de proche en proche de la manche au Portugal.. Mus. Nat Hist. Paris : 65-73. Isaac, W.E. (1933). 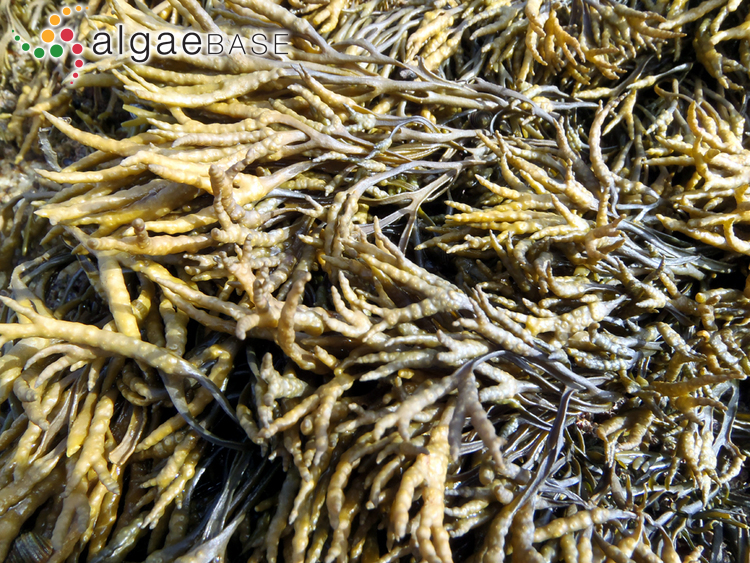 Some observations and experiments on the drought resistance of Pelvetia canaliculata. Annals of Botany 47: 343-348. Kremer, B.P. (1973). 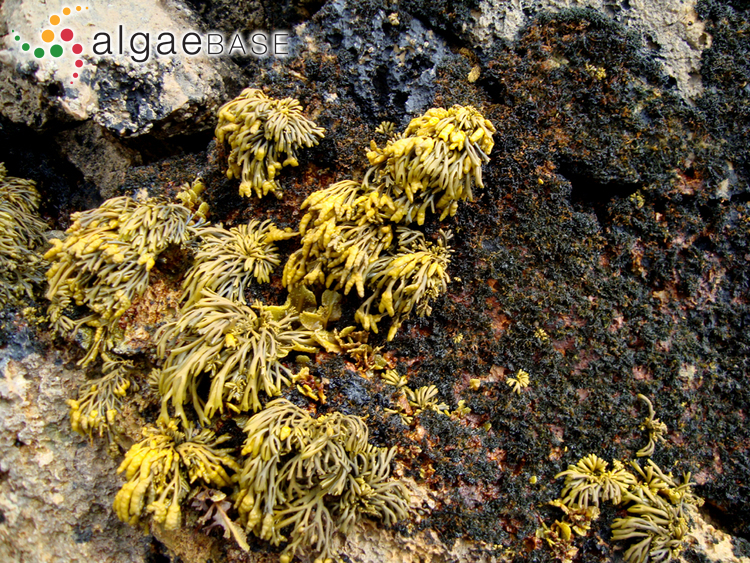 Investigations on the physiology of volemitol in the marine brown alga Pelvetia canaliculata. Marine Biology, Berlin 22: 31-35. Kremer, B.P. (1973). Untersuchungen zur pysiologie von volemit in der Braunalge Pelvetia canaliculata. Marine Biology 22: 31-35. Kremer, B.P. (1977). Biosynthesis of polyols in Pelvetia canaliculata. Z. Pflanzenphysiol. 81: 68-73. Oliveira Filho, E.C. de & Fletcher, A. (1977). 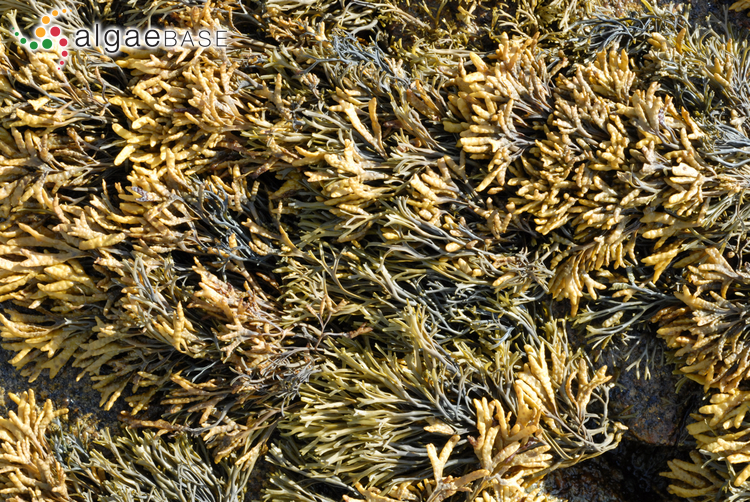 Comparative observations on some physiological aspects of rocky-shore and salt marsh populations of Pelvetia canaliculata (Phaeophyta). Bol. Bot. Univ. S. Paulo 5: 1-12. Oliveira Filho, E.C. de & Fletcher, A. (1980). 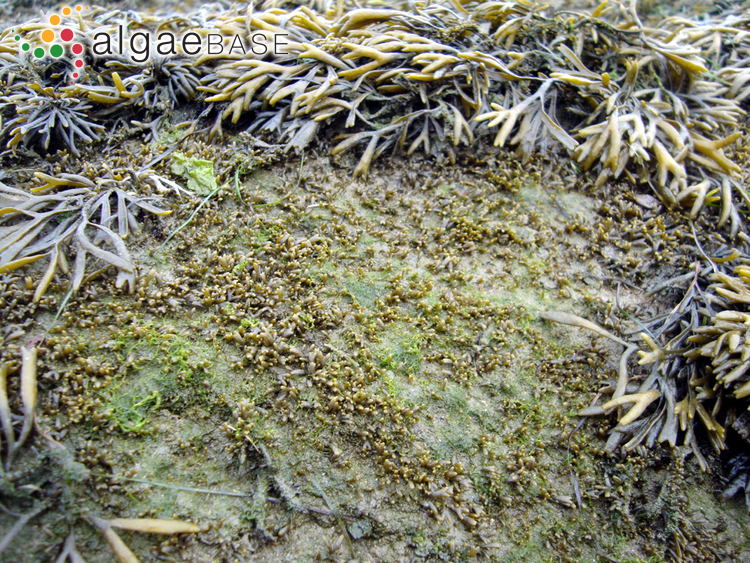 Taxonomic and ecological relationships between rocky-shore and saltmarsh populations of Pelvetia canaliculata (Phaeophyta) at Four Mile Bridge, Anglesey, UK. Botanica Marina 23: 409-417. Pfetzing, J., Stengel, D.B., Cuffe, M.M., Savage, A.V. & Guiry, M.D. (2000). 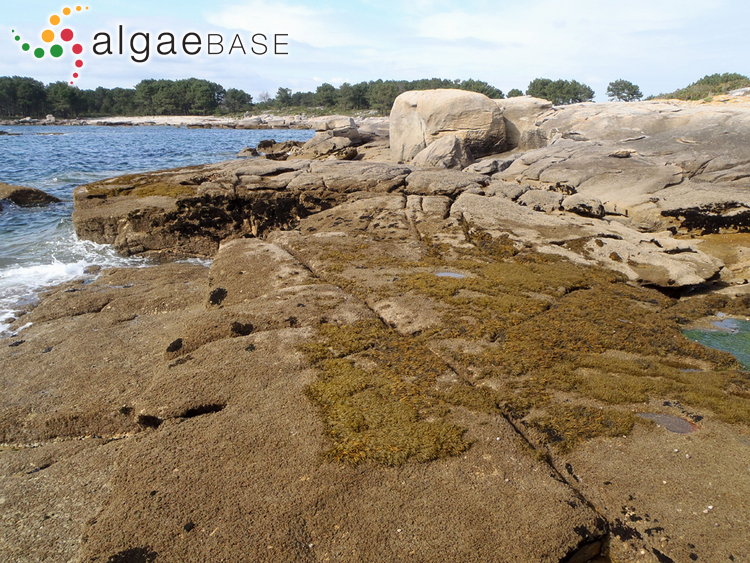 Effects of temperature and prolonged emersion on photosynthesis, carbohydrate content and growth of the brown intertidal alga Pelvetia canaliculata. Botanica Marina 43: 399-407. Rugg, D.A. & Norton, T.A. (1987). 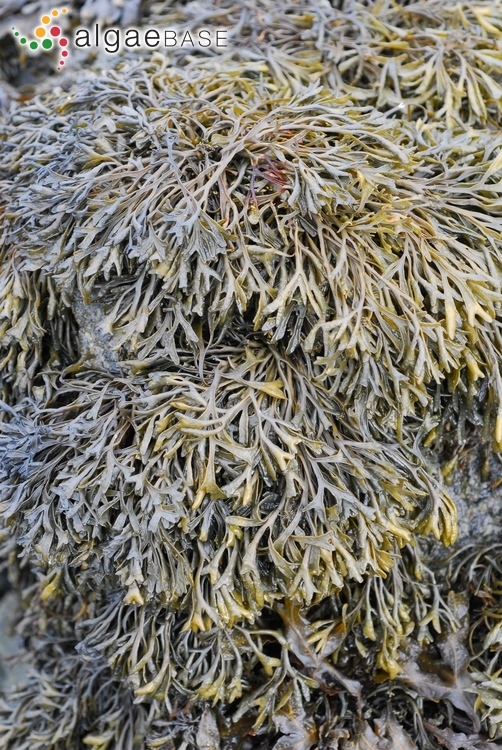 Pelvetia canaliculata, a high-shore seaweed that shuns the sea. In: Plant life in Aquatic and Amphibious Habitats. (Crawford, R.M.M. Eds), pp. 347-358. Oxford: Blackwell Scientific Publications. Subrahmanyan, R. (1957). Observations on the anatomy, cytology, development of the reproductive structures of Pelvetia canaliculata Dcne. et Thur. Pert III. The liberation of reproductive bodies, fertilization and embryology. Journal of the Indian Botanical Society 36: 373-395.